Cooling towers have proved as blessings for the industrial facilities and also various types of power plants across the globe. 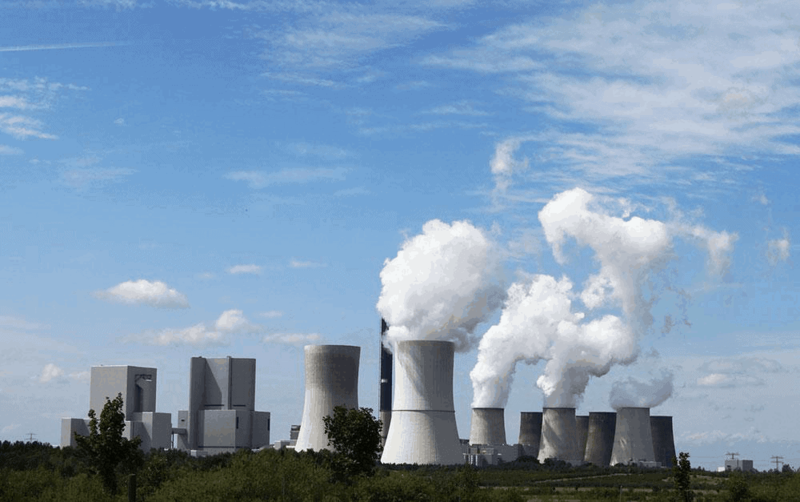 There are multiple benefits of installing cooling towers in the industrial units, but it does not mean that they are full proof as they also leave with a few effects on the environment. We know that installing a cooling tower reduces energy and water consumption, but it has to be installed, and its optimum use is also essential for controlling its adverse effects on the environment. Now let’s see how cooling tower can affect the environment negatively. One of the basic requirement for cooling tower’s proper operation is the steady flow of water, and the need is more than just a few hundred gallons. Some of the more extensive facilities consume an amount of water that is more than a water requirement of a small town. Due to such condition, many most of the facility owners prefer the location where the sufficient source of water supply is nearby, whether they are lakes, rivers or oceans. These waterways are used for large water consumption. The process is not as naive as it looks. It certainly affects the environment. Many waterways have fragile ecosystems, and during the intake of water, frogs, fish, and various types of larvae are not excluded. The water consumption process can also affect the different fish species that are swimming up the river. To solve this problem, it is vital to install reliable intake systems in the cooling towers. One should look for the best cooling tower company in India to develop a proper intrusive system. The intake system problem is not significant compared to the problem that arises from the once-through system. The once-through approach means that the water once entered the cooling system; it does not cycle back through the system and evaporate system does not use the same water. The process damages the environment as the water drawn in from natural waterways, goes right there on the same waterway after the heat transfer process. One might see it as a useful process as the water goes back to nature, but it is not as simple as it looks and can lead to some serious issues. The water sent back to the natural waterways like rivers, lack, and oceans is hotter than the natural water, and it harms the marine system. This leads to the killing of fishes and also cause algal blooms that can draw out oxygen from the water and suffocates the various marine species. It can also create toxins in the water and pollutes the marine environment. However, various ways provide a solution to such problems. Cooling towers and overall cooling systems can be operated in a more environmentally friendly way. When we hear the word chemical, all we can think about is the dangerous effects of it on the environment. However, different types of chemicals can be included in the cooling process that contains low levels of toxins and can also be filtered before the water is sent to the sewer systems. One should take advice and help from an experienced cooling tower manufacturer to ensure that the proper chemicals are used in the systems. Chemicals are necessary for reducing the scale in the cooling tower. Scale is the piling of minerals which often occurs within the cooling system. When it comes to reducing the effects of cooling towers on the environment, reducing the scale is essential. When the scale is out of control, the system needs more water to maintain the cooling, that leads to the consumption of more freshwater and more energy is also required to pump the water in the system. The energy consumption leads to the burning of more fossil fuels. The cooling towers impact on the environment can also be reduced by using saltwater in the cooling process instead of freshwater. Using saltwater does not damage the entire system, but it reduces the effectiveness of the systems, which is minor and can be neglected. When salt water is used, the freshwater can be saved for human consumption. It also stabilizes the water levels and contributes towards healthy ecosystems. The areas that don’t have a high level of salinity should be considered. Brackish water would be ideal for this. Mouths of rivers and larges bays are an excellent source of brackish water. It is important that owners of the industrial facilities understand the importance of cooling towers and also its effects on the environment. Only after knowing the adverse effects, one can work towards creating more efficient cooling systems. Using advanced techniques is also good for reducing the impact of cooling towers on the environment. Using an advanced filtration system keeps the process-water clean, which reduces the need for water treatment chemicals that can have a negative impact on the environment. Many cooling tower suppliers in India offers their customers an advanced solution to their requirement of cooling tower parts. No matter what type of cooling tower you have installed in your industrial facility, it requires regular maintenance. Finding a company that provides end to end solution is essential. The company should not only be limited to provide perfect installation, but it has to be good at giving proper maintenance services. Regular maintenance ensures that the cooling tower functions efficiently and so water and energy consumption can be reduced. This way, the cooling systems can go along with society and become not only useful in functionality but also become more environmentally friendly. Different types of cooling towers including natural draft system, mechanical draft system, hybrid system, and others should be checked for errors regularly. Along with regular maintenance, quality cooling tower parts should be used. One should look for a company that offers advanced cooling tower parts and its installation. Finding such a company in this digital era is easy. You can go through a number of websites, check their referrals, their previous clients, and the authentic reviews given by the previous customers. You should also ask for an estimate of installation from different companies and compare the cost to find the best available deal. However, other factors such as quality of maintenance services, quality of parts, etc. should be taken into account at the time of making the final decision. Cooling towers are excellent for the industrial facilities, and they have contributed to improving the overall production quality. However, it is also essential to reduce its negative effects on the environment. It includes using saltwater over freshwater, using harmless chemicals to remove scale from the cooling system, developing a reliable intake system, and regular maintenance. Owners of different types of industrial units should focus on not only increasing the efficiency of the cooling towers, but also reducing its negative effects on the environment and it is not that hard to achieve.